For Amanda Gardas, college or the military weren’t the answers. And then she found pipefitting. In her senior year at St. Anthony Village High School, Amanda Gardas applied to attend the Minneapolis Community and Technical College (MCTC). Not out of any particular desire to continue her schooling or to pursue a specific career, but because that’s what her counselor strongly recommended. Amanda was a bright student with an affinity for math so higher education seemed like a good next step, but to Amanda, something didn’t feel right. So that’s why, after seeing a recruitment commercial on TV for paratroopers, Amanda enlisted in the U.S. Army instead of attending college. The Army appealed to Amanda’s bravery and willingness to risk her own safety for others. But despite the Army’s appeal it still wasn’t what Amanda was looking for, and so, after three years she left the service. Thirteen years later, Amanda is a single mom with two kids, making $13.50 an hour as a chef at a local restaurant in St. Paul. One day, her friend, Cheryl, who works at the dry cleaners across the street, stops by and announces that she’s returning to her job as a pipefitter in the local union. 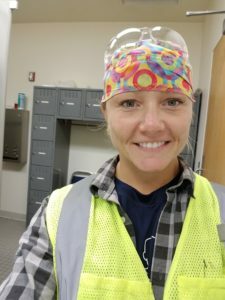 And so, after weeks of peppering her friend with questions, Amanda took the life-changing step and contacted Pipefitters Local Union 455, the pipefitters union for St. Paul and the East Metro. Fast forward to today: Four years into a five-year apprenticeship program, Amanda says that pipefitting is the perfect intersection of math and working with her hands that had been missing from her life. After passing a basic math and reading test required by the union, Amanda enrolled in the St. Paul Pipefitting Diploma Program, a year-long, full-time day school program where students begin to learn the basics of pipefitting and welding from union teachers. 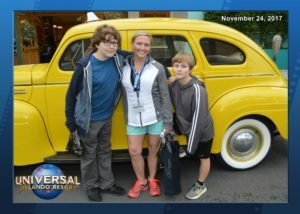 Going to school full-time while raising two children and working evenings and weekends was no easy feat. In order to make it into the union after graduation, a students’ attendance and grades in the diploma program must be top notch. “It’s hard to tell a 35-year-old single mom to quit her job and go back to school,” Amanda says. But Amanda rose to the challenge, graduated, and was accepted by the St. Paul Pipefitters Local Union 455, AFL-CIO, in its five-year apprenticeship program. She is now in her fourth year of a five-year apprenticeship where she is paired with a journeyman. “I graduated from the St. Paul College program on a Friday and started working that next Monday making $20 an hour (50% of scale) plus insurance and a pension,” she says. 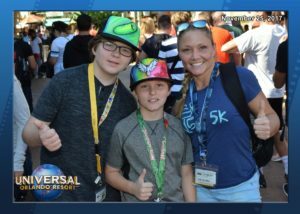 Now Amanda is grateful that she can provide for her family, which includes having healthcare insurance, a dental plan, life insurance, and a pension through the union. But as much as she appreciates those opportunities, the money and benefits comes second to doing work that she feels proud of. Career satisfaction and the ability to provide for their family might be enough in life for some people, but not for Amanda. In addition to her apprenticeship Amanda, for three years she has been a part of the Minnesota Trades Academy (MTA), introducing Twin Cities area middle- and high school students skills such as soldering, welding, and demonstrating how their high school algebra is actually used by pipefitters in a hands-on setting. Amanda is involved in the Minnesota Trades Academy not just to teach, but to also be a role model for young women.